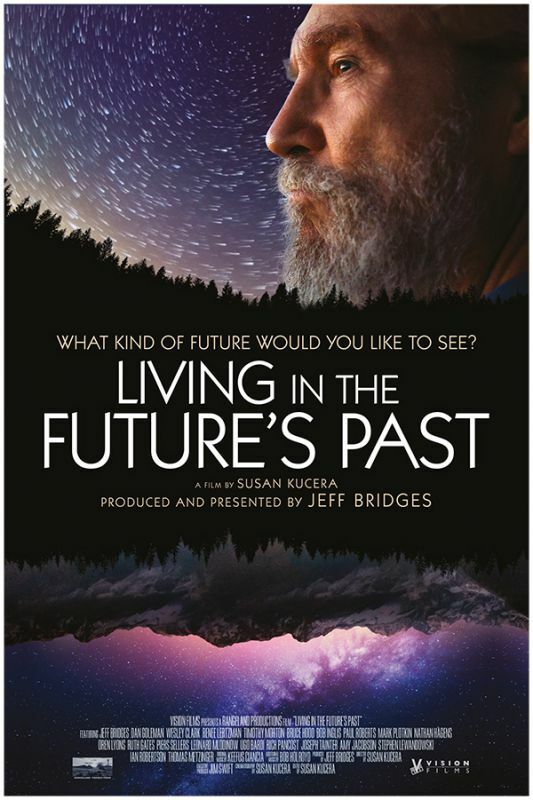 Academy Award Winner Jeff Bridges and Director Susan Kucera collaborated to bring Living in the Future’s Past to the screen. Susan is director, cinematographer and editor of the film which is also, produced, narrated by and features Jeff Bridges. Jim Swift is the executive producer who set the project in motion and whose support and passion for the subjects are reflected in the film. Keefus Ciancia is Known for his forward thinking and cutting edge sound, He also received a BMI award for music scoring and was nominated for an Emmy on his work with Everlast for co-writing and producing the theme song for the hit television series Saving Grace. As an accomplished songwriter, he has penned music with T Bone Burnett, Kimbra, Macy Gray, Nikka Costa, Benji Hughes, Everlast and Jeff Bridges. Bob Holroyd Incorporating ambient minimalism, world music, electronica and jazz. Bob's eclectic style crosses musical and cultural boundaries. His textural, cinematic music has been used extensively on film and television, including The Sopranos, True Blood, The Dark Knight, The Centre of the World, Lost, Breath of Life and Rectify, and remixed by artists such as Four Tet, Joe Claussell, Nitin Sawhney and Coldcut. Sales by Vision Films Lise Romanoff and Adam Wright, (left) Laurie Kirby (FestForums), Susan Kucera and Ken S. Polk.